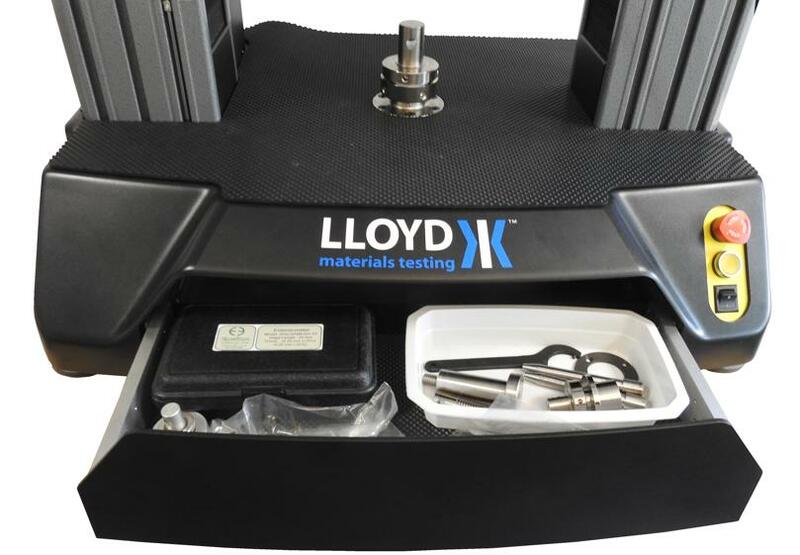 The LD machine is the newest addition to the Lloyd Instruments Materials Testing lineup. Coupled with Nexygen Plus software, the LD system is useful for testing materials (or components) in Production, QC or Research Laboratories. 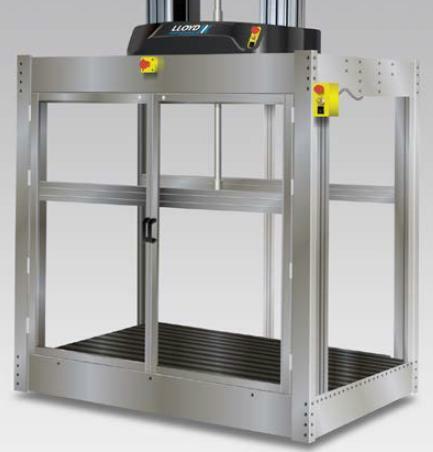 The machine was designed for excellent motion control. 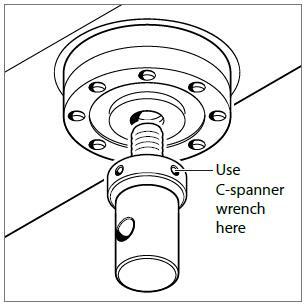 The high stiffness, dual-column frame with anti-backlash ball screws insures accurate measurement of force & displacement. Preconfigured tests include, pull to break, pull to limit, compress to rupture, compress to limit, peeling, friction and testing related to stress strain relationships (modulus, yield, etc.). Many additional tests can be created quickly and saved for re-use. The software is comprehensive, powerful and very easy to use. A standards library of tests is also included. Please contact our office to explore the many details of Nexygen Plus and how it is used with the LD machine. Learn how automation can be used for control of tests and management of data. We are here to help with OEM Sales & Services. Tension & Compression Testing for Large Samples! To change simply replace with needed size and resume testing. 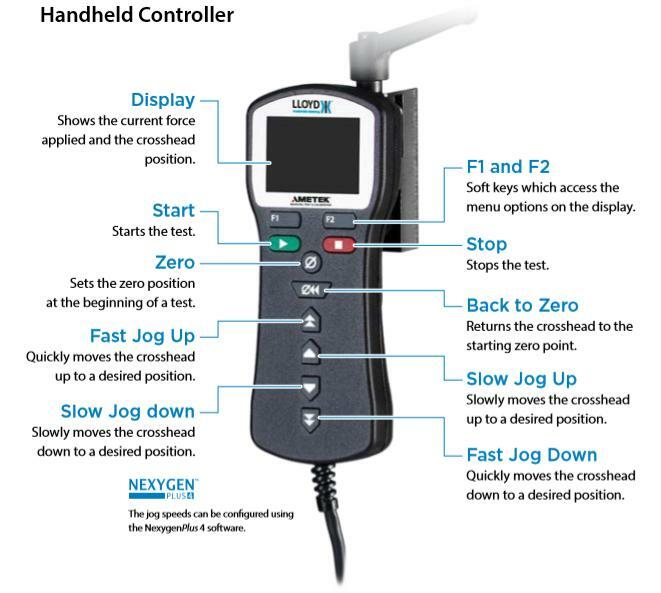 The software is configured to prevent wrong load cells from being used! 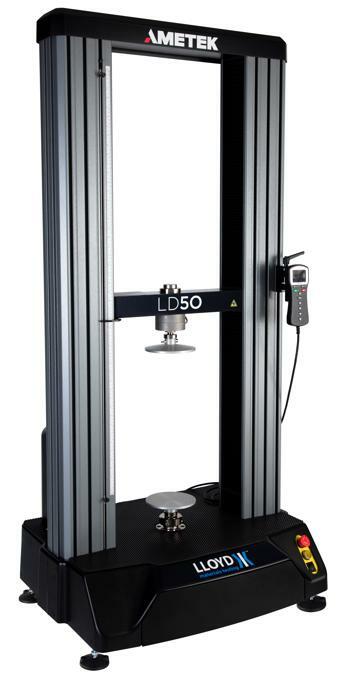 * Standard LD machines have 1070 mm (42 in) of travel. The extended versions have 1669 mm (65.7 in). ** Lower frames for Pogo Machines are custom made. Please contact our office for more details. Extended Travel and Pogo options are not available for the LD100.